“Guaranteed.” Did that get your attention? It’s one little word. But it can have a dramatic effect on the way you think about SAT prep courses. Unfortunately, not every guarantee is made the same. “Guaranteed” might mean one thing from one prep course—and something completely different from another. And if you read the title to this post expecting an automatic way to improve your scores by 500 points, maybe now’s a good time to tell you what a reliable SAT test prep guarantee is really all about. The reason behind a guarantee is simple: accountability. If you’re putting money down, you want some reasonable expectation that what you’re doing is going to be worth the cost. That’s true in any walk of life. But it’s especially true when you consider the importance of doing well on college entrance exams. 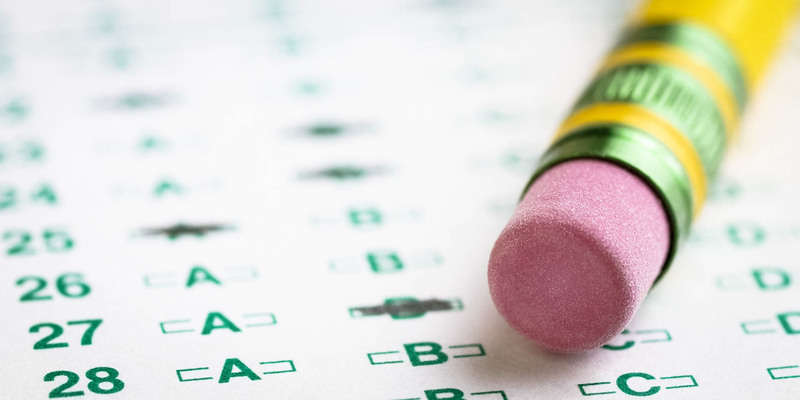 Performing well on a college entrance exam can mean lots of different things to the student. It can mean a greater chance of achieving the college admission of their dreams. It can mean winning a scholarship that will help fund that dream. It can even mean the promotion of skills and talents necessary to succeed at the next level as the student works to achieve career goals even further down the line. But the accountability that comes with a guarantee doesn’t mean that every college student will perform the same. That’s why you should be wary when you read “Improve your SAT scores by 500 points or more” or some other specific point value. While it seems like this is a great way for an exam to be accountable to results, any flat guarantee like that won’t take a student’s individual goals into account. For example—what if you can’t improve by 500 points or more? That’s why the Jantzi guarantee is simple: we guarantee that if a student takes our course and does the work, they’ll see improvement on their scores. The only stipulation is that they take the test within 30 days of course completion. That’s what real accountability looks like. We don’t put a specific point value on our guarantee. We just want to help your student see improvement. How can you be sure when the guarantee is met? Going into the prep course for the first time, how can you feel confident that what you want to achieve is not only achievable, but is almost certain at the end of the course? Goals. What do you hope to achieve by the end of the SAT prep course? It’s good to set clear, definable goals for the performance on college entrance exams themselves. Deliverables. What will you have to do to meet the requirements for the guarantee? Are they easy to read and understand? Do you know them going into the course? And how will the course itself deliver its own information in a meaningful, understandable way? Once you know these two factors, you’ll have a much better understanding over whether you have clarity with your prep course guarantee. Our SAT prep courses come with a guarantee that meets these criteria. We don’t promise a specific score—we promise a better score, period. Our guarantee sets clear requirements from the student’s end—including what work is to be completed—as we well as the ultimate goal, which is to increase the score a student achieves on their college entrance exam. With this guarantee in place, both parents and students can be confident that our course is can help them improve scores on vital college entrance exams.